What is the Gran Paradiso Trademark? The trademark Gran Paradiso is an instrument of identification that the National Park assigns to tourism, crafts and food operators engaged in a process of quality and sustainability in order to guarantee, to consumers, the origin of the Park's territory, the quality of workmanship and a hospitality from the environment protection, courtesy and local traditions point of view. Who can obtain the Trademark Gran Paradiso? All of the producers or local enterprises, upon verification of the requirements, which belong to three distinct categories: agri-food, handicraft and tourism sector. Operators must have the activity inside the protected area (Park Zone*) or in the surrounding areas (Gran Paradiso Area**). In order to obtain the “Quality Label” enterprises and craftsmen involved must meet precise standards of territorial peculiarity and internal management aspects, other than satisfy environment sustainability procedures and compatible use of the territory resources. In this way, the enterprises included contribute to build a single front to enhance the area based on the territory identity and on the environment protection, giving an added value to inhabitants and visitors in the Gran Paradiso area. What advantages offers the Trademark? 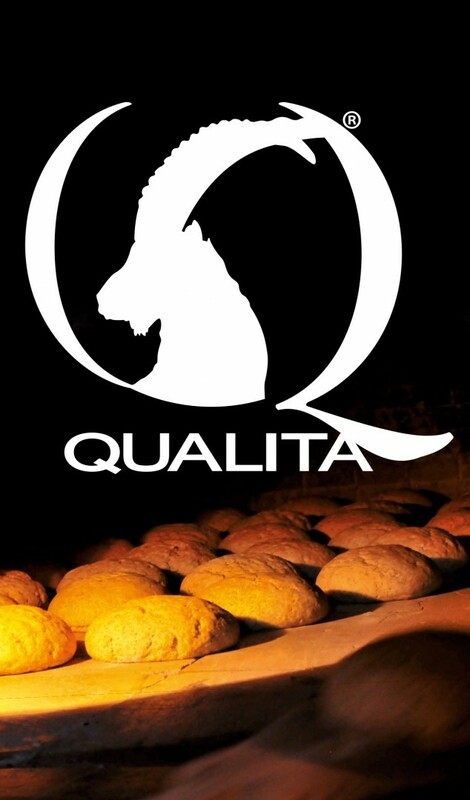 The products or services that can use the Gran Paradiso "quality label" provide the consumer with different types of benefits including a Guarantee of quality. Agri-food products, such as dairy products, jams and honey, the local handicrafts in wood, bronze and copper, up to tourist and hospitality services, guarantee a high control level on the product origin and quality and on the service in itself, through the application of specific rules and procedures to be followed by operators. This means that the consumer or end user has extensive guarantees of authenticity, typicality and a high level of service provided. Moreover there will be a direct participation in environmental protection of the area, in fact, a consumer buying products or using services with the Gran Paradiso "quality label", is sure to respect and protect the environment and local heritage, preserving the nature of the area and to donate their contribution to these aims; traders, indeed, agree a plan for improvement of its environmental performance in line with the mission of the Park. * Corresponding to the following municipalities: Aymavilles, Rhêmes-Notre-Dame, Rhêmes-Saint-Georges, Introd, Cogne, Valsavarenche, Villeneuve, Ceresole Reale, Locana, Ronco C.se, Valprato, Noasca, Ribordone. ** Corresponding to the following municipalities: Arvier, Avise, Saint Nicolas, Saint Pierre, Sarre, Valgrisenche, Alpette, Sparone, Frassinetto, Ingria, Pont Canavese.